 SEA LIFE Birmingham has 1 lunch room for schools to use during their visit. The Lunch room is issued in 30 minute slots, with allocated times emailed to you approx. seven days in advance of your visit. This space is in high demand and therefore availability is issued on a first booked, first served basis. Please note: Our Lunch Room has a maximum capacity of 65 children. For groups larger than this, you will be split across multiple lunch time slots. We carefully arrange timings to best accommodate the day’s bookings and, regrettably, we are unable to accommodate specific requests for time slots, with slots generally ranging from 11am - 2pm.